Political elites and super-bureaucrats are worried.It’s becoming harder to control consensus reality. A history stitched together by lies and cover-ups, political assassinations, slight-of-hand false flag deceptions, secret societies, dual loyalties and stolen fortunes – this has been the exclusive privilege of organized crime and the ruling elite for centuries. Putting aside history’s ‘big ticket’ items though, the real reason for this authoritarian trend is much more fundamental. By knocking out their intellectual competition, political elites and their media moguls hope to minimalize, and thus eliminate any alternative analysis and opinion by applying the completely open-ended and arbitrary label of “extremist” to speech. They want to wind back the clock, where a pre-internet, monolithic corporate media cartel held a monopoly on ideas. Although France has taken the lead in this inter-governmental effort (see below), the preliminary assault began this past fall with British Prime Minster David Cameron publicly announcing on two separate occasions, that all of these so-called ‘conspiracy theories’ (anything which challenges the official orthodoxy) should be deemed as “extremist” and equivalent to “terrorist” and should be purged from society on the grounds of ‘national security’. The first came with Cameron’s warped speech at the UN, and afterwards, a similar charge was made by the UK leader against anyone who dares press the issue of institutional paedophilia and child abuse. As yet, few are aware of how in the wake of theCharlie Hebdo shootings, French Prime Minster,Francois Hollande delivered an official declaration (see full report and text from his speech below). However, Hollande takes it beyond the usual hyperbole and focuses on giving the state an administrative and legal foothold for policing both speech and thought crimes in France. If this can be accomplished in France, then a European roll-out would soon follow. Ironically, in order to achieve this fascist leap forward, Hollande has equated “conspiracy theories” to Nazism, and is calling for government regulations to prevent any sharing or publishing of any views deemed as ‘dangerous thought’ by the state. 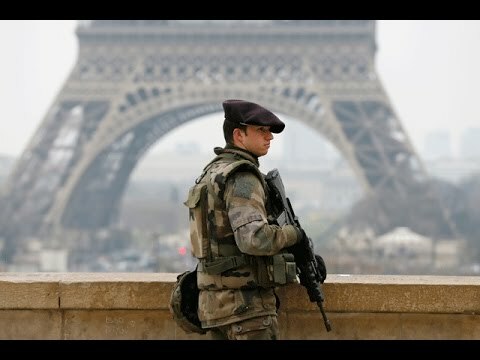 Specifically, Hollande is citing “Anti-Semitism”and also anything which could inspire ‘acts terrorism’ – as the chief vehicles for what the state will be designating as ‘dangerous thoughts’. With the thumb of Hebdo still pressing down, this may just sound like politics writ large by the French leader, but in reality it’s full-blown fascism. Worse yet, with all of the world leaders gathered togther in Paris in January supposedly marching solidarity for ‘free speech’ and proudly chanting “Je Suis Charlie” (image above), that Hollande would use this as political cover to restrict free speech in Europe should shock even. Will French gov’t censors also block this website – because it is challenging the government’s new public filtering program? Are we entering a new intolerant, Chinese-style policing culture in Europe, and throughout the west? Certainly they have the ability and the legal clearance to do just that right now. Fear of losing control over manipulative narratives has always been a primary obsession with those in power, and clearly, based on what we’ve seen here – governments are making an aggressive move on free speech now. Skeptics will no doubt argue that this 21WIRE article itself constitutes a conspiracy theory. If that was the case, then why have western governments, particularly those in the US and Britain, already spent millions, if not billions in state funds in order to infiltrate, disrupt, and occupy forum websites, and social networking groups of so-called ‘conspiracy theorist and even creating entirely new groups just to contradict them? Does that not already prove what the government modus operandi is? As if that wasn’t enough already, now France wants to take it to a whole new authoritarian level. It may sound ridiculous, but this is exactly what is taking place in government as we speak. At the request of President François Hollande, the French Socialist Party has published a note on the international “conspiracy theorist“ movement. His goal: to prepare new legislation prohibiting it to express itself. In the US, the September 11, 2001 coup established a “permanent state of emergency“ (Patriot Act), launching a series of imperial wars. Gradually, the European elites have aligned with their counterparts across the Atlantic. Everywhere, people are worried about being abandoned by their States and they question their institutions. Seeking to retain power, the elites are now ready to use force to gag their opposition. The President of the French Republic, François Hollande, has assimilated what he calls “conspiracy theories” to Nazism and called to prevent their dissemination on the Internet and social networks. “[Anti-Semitism] maintains conspiracy theories that spread without limits. Conspiracy theories that have, in the past, led to the worst “(…)” [The] answer is to realize that conspiracy theories are disseminated through the Internet and social networks. Moreover, we must remember that it is words that have in the past prepared extermination. We need to act at the European level, and even internationally, so that a legal framework can be defined, and so that Internet platforms that manage social networks are held to account and that sanctions be imposed for failure to enforce” . Knowing that President Hollande calls “conspiracy theory” the idea that States, whatever their regimes – including democracies – have a spontaneous tendency to act in their own interests and not in that of their constituents, we can conclude that he presented this confused amalgam to justify a possible censure of his opponents. Let’s leave aside the political relations of François Hollande, the Socialist Party, the Fondation Jean-Jaurès, its political radicalism Observatory and the author of the note and let’s focus on its message and its ideological content. The terms “conspiracy theories” and “conspiracy theorism” have developed in France in the wake of the publication of my book on US imperialism post-September 11, titled The Big Lie . At the time, we had trouble understanding what the terms meant because they referred to American political history. In the United States, are commonly called “conspiracy theorists” those according to whom President Kennedy had not been assassinated by one man but by many, forming a conspiracy (in the judicial sense). Over time, these expressions entered in the French language and have overlapped with memories of the 30s and the Second World War, those of the denunciation of the “Jewish conspiracy“. These are therefore now polysemous, sometimes evoking the law of the state-Stator silence and, at other times, European anti-Semitism. “an ’alternative’ narrative that claims to significantly upset the knowledge we have of an event and therefore competes with the “version” which is commonly accepted, stigmatized as “official”” (p. 2). Observe that this definition does not apply solely to the delusions of the mentally ill. Thus, Socrates, through the myth of the cave, affirmed his challenge to the certainties of his time; Galileo with his heliocentric theory challenged the prevailing interpretation of the Bible of his time; etc. For my part, and since they see me as the “pope of conspiracy theorists” or rather the “heretic” in the words of Italian philosopher Roberto Quaglia, I reaffirm my radical political commitment, in keeping with the French republican radicalism of Leon Bourgeois , of Georges Clemenceau,  of Alain  and of Jean Moulin. For me, as for them, the state is a Leviathan which by nature abuses those it governs. As a radical Republican, I am aware that the state is the enemy of the common good, of the Res Publica; which is why I wish not to abrogate it, but to tame it. The republican ideal is compatible with various political regimes-including monarchies, as was enacted by the authors of the Declaration of 1789. This opposition, which the current Socialist Party disputes, has so shaped our history as Philippe Pétain repealed the Republic to proclaim the “French State“. 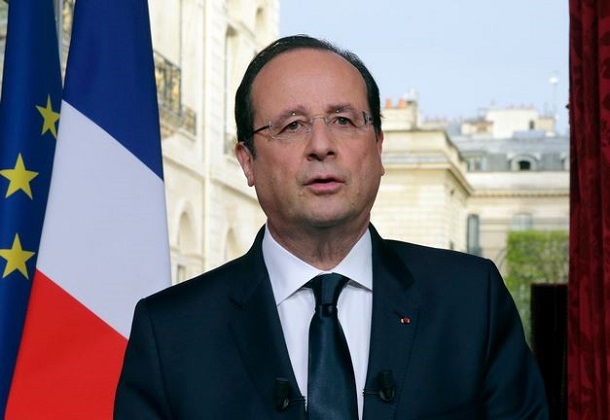 Immediately after his assuming presidential office, I denounced Hollande’s Petainism . Today, Mr. Hollande claims to be of the Republic to better fight it and this inversion of values ​​plunges the country into confusion. Who are the “conspiracy theorists“? The “conspiracy theorists” are thus citizens who oppose the omnipotence of the State and who wish to place it under surveillance. “[It’s] a heterogeneous movement, heavily entangled with the Holocaust denial movement, and which combines admirers of Hugo Chavez and fans of Vladimir Putin. An underworld that consist of former left-wing activists or extreme leftists, former “malcontents”, sovereignists, revolutionary nationalists, ultra-nationalists, nostalgists of the Third Reich, anti-vaccination activists, supporters of drawing straws, September 11th revisionists, anti-Zionists, Afrocentricists, survivalists, followers of “alternative medicine”, agents of influence of the Iranian regime, Bacharists, Catholic or Islamic fundamentalists “(p. 8). One will note the amalgams and abuse of this description aiming to discredit those it designates. Previous DANGEROUS SPEECH: WOULD THE FOUNDERS BE CONSIDERED DOMESTIC EXTREMISTS TODAY? Enter your email address to receive notification of new articles by email. CIA HONEYTRAP SET – KAVANAUGH ACCUSER HAS CIA TIES?